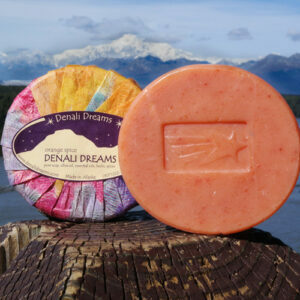 This fine handmade soap is a tribute to the memorable fields of fiery pink Fireweed. After a fire this wildflower is quick to germinate and take over a burn area, hence the name “Fireweed”. The flower blooms from the bottom up and in Alaskan folklore, when the final petals open at the top of the stalk it signifies six weeks left in summer. When driving in Alaska look for the pink fields that cover the hillsides. 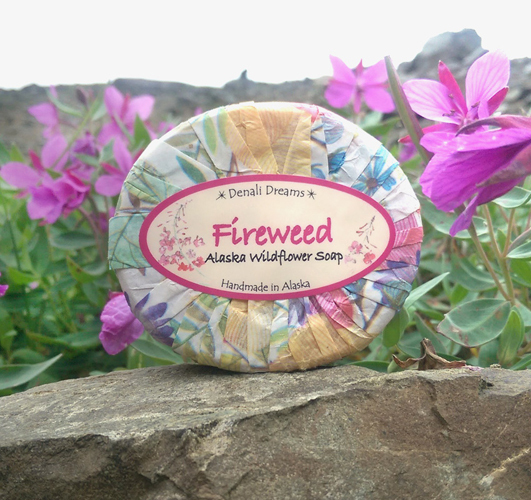 A 3.3 oz bar of Fireweed Soap. Option with a brown oval soap lift.